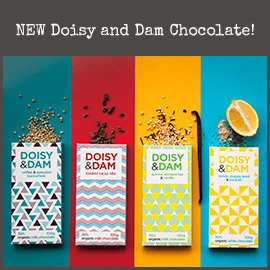 We have taken great time and care in selecting packaging that works for both our products and the environment. 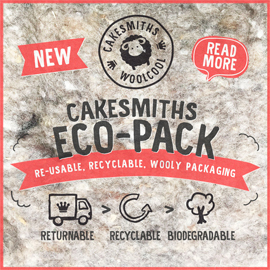 Without further ado ~ let us introduce you to the New Cakesmiths Eco-Pack using industry leading Woolcool liners that are not only fully reusable and recyclable but biodegrade at the end of their useful life. Woolcool – Wool is an amazing Smart Fibre: not only is it natural and sustainable, but is a superior insulator! Why compromise on sustainability or performance when you can have both? Wool is one of the most sustainable natural materials, being available in abundance as a by-product of rearing sheep. The wool insulation is totally compostable and biodegradable, releasing valuable nitrates back into the soil. To get the most out of this packaging we invite you to return your wool liners for FREE. 1, Tick the ‘Ive got something to Return box’ during checkout and your new cake delivery will contain your return label. 3, Tape the box when you can’t get any more in! 5, Sit back and know that you have done a really good deed today! We will even donate 1 slice of cake for every wool liner returned to The Grand Appeal. 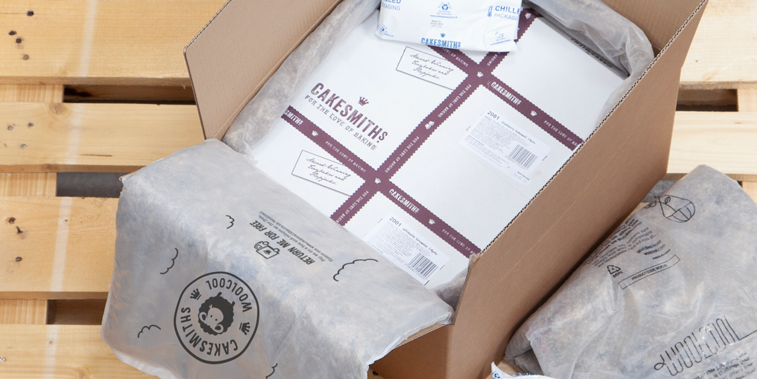 Please email support@cakesmiths.com to show your interest and we will update your account. or even use it to mulch plants! 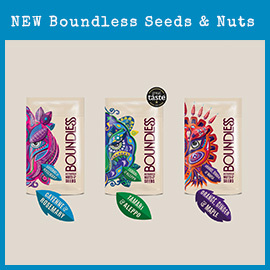 will biodegrade releasing valuable nitrates back into the soil. Does Eco-Pack Smell Like Wool? Questions around the smell are usually linked to worries about cleanliness and linking the smell to the toxins etc. Wool is washed and scoured to ISO standards to ensure cleanliness. Woolcool perform monthly tests to ensure it is completely clean and free of any toxins that can leach into food/pharmaceuticals. As with any material/object, man made or natural, it has its own smell. Typically if the Wool has been stored with other wool, it will smell stronger, but once it has been taken out of the initial delivery box, that smell will dissipate. To remove the smell we would have to add chemicals, which would negate our natural product and could potential damage the fibres. Of course, we love the smell, as what better way is there to prove our product is 100% natural! Wool fibres are incredibly effective at absorbing moisture from the air which minimises humidity and condensation to maintain stable temperatures. The recyclable food grade wrap which encloses the wool in Woolcool is micro-perforated to allow the fibres to breathe and create the natural cooling system. IS THE WOOL HYGIENIC? Yes, wool is perfectly safe. The natural washing and scouring process requires no chemicals, additives or further sterilisation. Wool fibres have been scientifically proven to absorb and lock-in bacteria and dangerous chemicals. The wool is sealed within recyclable, food grade polyethylene wrap to prevent the fibres coming into direct contact with packaged contents.